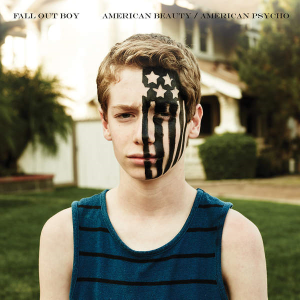 Maybe it’s because the whole idea of pop-rock seems like a self-contradictory disaster to me, but Fall Out Boy’s new studio album American Beauty/American Psycho appears to be a last attempt of high school anthem-writers to stay relevant. Mixing teen angst with dance pop, Patrick Stump’s annoyingly eccentric vocals coupled with a rushed lyricism really drives home the feeling that the band has made no progress over the last 10 years. The album offers a weird nostalgia for those who know Fall Out Boy’s older albums and even has the potential to be good, but on the whole, offers nothing new or exciting. As made clear by the lyrics of the album’s first single, “Centuries” (a reimagining of Suzanne Vega’s “Tom’s Diner”), the band is too focused on being remembered to create anything worth listening to.